Dunks you say? Yes dunks. A lot of these dunks I’ve seen while watching March Madness have left me shaking my head at times. Everytime someone dunks the crowd oozes in excitement and the teams bench goes crazy. Some guy dunks and the crowd goes, “ohhhhhhhh nah he didn’t.” Oh..oh he did. Why would dunks annoy you you ask? Well, because the dude is usually 6ft 8. All they need to do is hop and they pretty much dunk it. Trip? It’s a dunk. Accidental sneeze? Slam flying dunk. 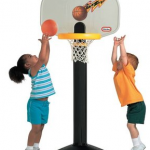 You ever play basketball with your little niece or nephews or whatnot where everyone is shorter then you? Well that’s pretty much these guys. I can dunk. 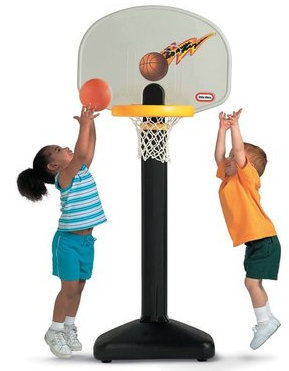 I can school every little kid at basketball any time I want I’m that good. I’ll dunk over them any day of the week. They got NOTHING on me. If I see someone that is 6ft 3 or under dunk it then I’m impressed. Anyone else, you’re that guy playing the nieces and nephews. Do your dunk and slowly jog on over to the other side of the court there buddy. They need your blocking ability. Or just your large human mass to stand there with your hands up.